Last week I was able to get down to Key Largo for the American Water Resources Association (AWRA) Florida chapter annual meeting. Like any opportunistic biologist I always take the opportunity to look around. The first place I went before even checking into my hotel room was John Pennekamp Coral Reef State Park. One of my favorite things to do there is to snorkel around mangrove roots. People familiar with mangroves often know that they harbor a complex root system (especially red mangroves with buttressing roots) that protects and supports many species including juvenile fish. What surprised me on my first visit several years ago to the park, is how many different things live on the roots themselves. These epiphytes (“epi” meaning on, and “phyte” meaning plant) and epizoans (“zoans” refers to animals) are vibrant and diverse. The delicate little tendrils of minute anenomes are littered in among examples of solitary and colonial species of tunicates, little squishy organisms with in-current and ex-current siphons. Clusters of Isognomon alatus, the flat tree oyster, are visible. It’s an amazing brackish little universe. I later moved my prospecting off shore a couple days later when I donned scuba gear with Rainbow Reef Dive Center. Besides the surprise siting of an interesting shark or notable sea creature, one of the appeals of diving down in the keys is the intricate landscape of benthic creatures including things like corals, sponges, and christmas tree worms. Recently, I had the rare and exhilarating opportunity to spend part of an errant and lazy Wednesday afternoon at the beach. 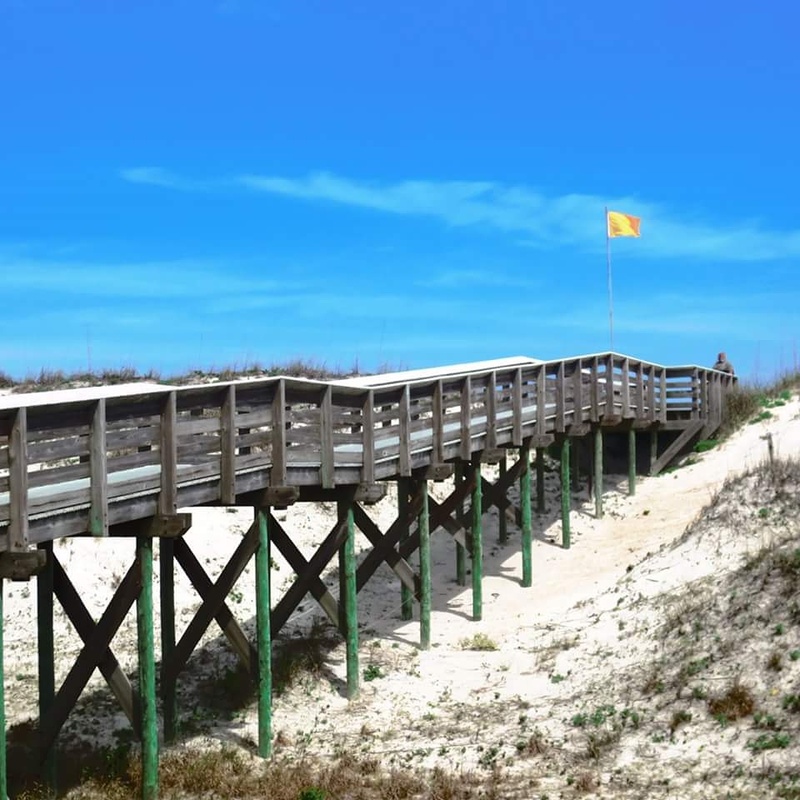 Anastasia State Park is a striking coastal stretch in the St. Augustine area. You walk a long, angled boardwalk right into these beautiful dunes. Wispy sea grasses dot the sand, and every time the wind blows, the blades cut these little furrows around themselves. 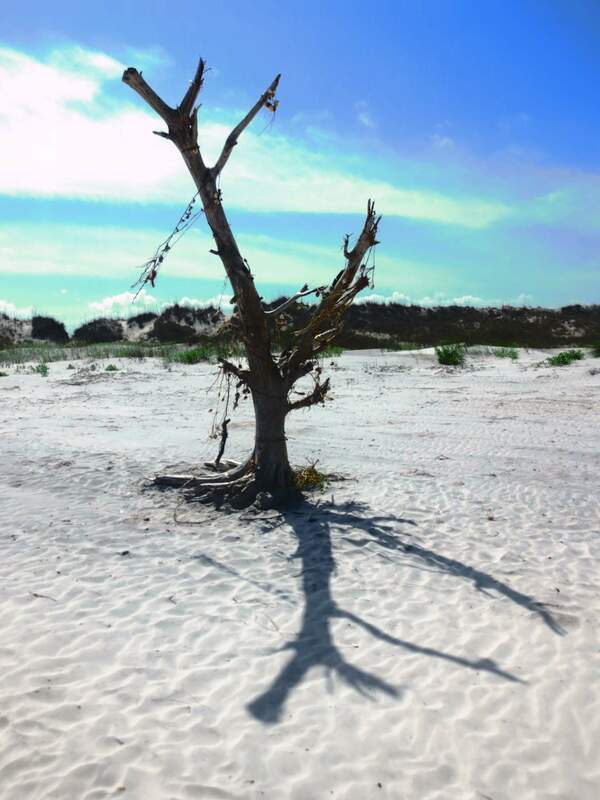 I walked the length of the beach taking photos and was drawn to what seemed like a visually interesting tree. I took a couple angled shots and then noticed what I had originally mistook for some kind of buds on the tree were ornately woven adornments. 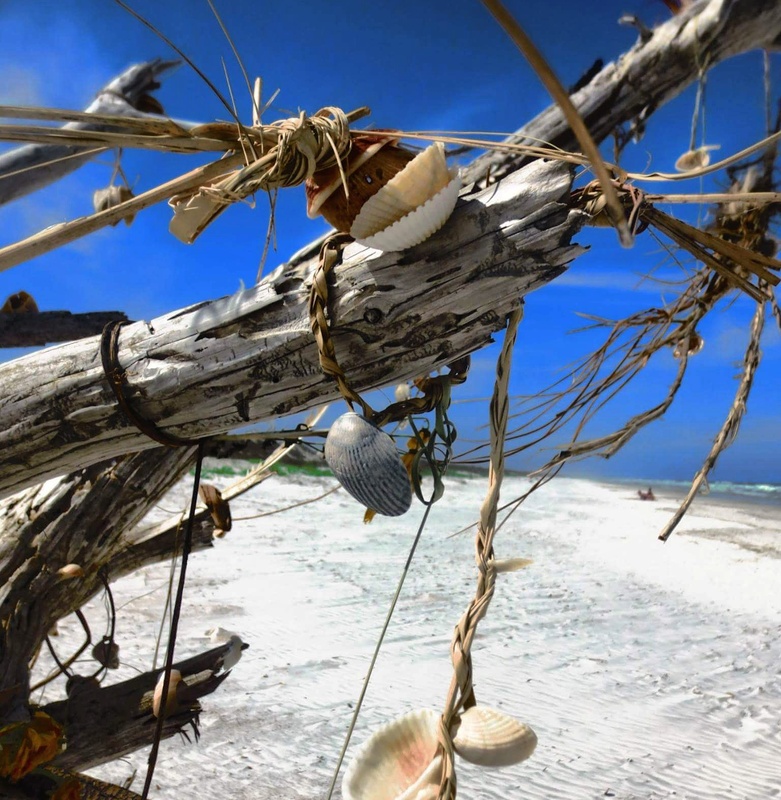 Some unknown person or persons had up-righted what was a tree weathered and uprooted perhaps by some past storm, and decorated its branches with braids of sea grasses and shells. I watched as passersby casually searched for nearby elements to add. The most beautiful aspect of this experience for me was both the enigmatic and unknowable origin of the act, and the momentum it took on afterwards. Each person has an intimate connection with this surprising find, but every experience is singular along a continuum of time. Not a shabby way to spend time at the beach. The Venezellos is propped up and displayed down a lonely side street in the Florida Panhandle town of Apalachicola. Online searches reveal little about its past lives, and it’s likely one would have to make a note to ask the local residents to find out much at all. However, perhaps she has general significance of the fishing legacy Apalachicola and many other coastal Floridian towns share. A google search of the name “Venezellos” suggests a spelling correction of Venizelos which is characterized as a Greek surname, one that has been associated with several well known Greek politicians. This finding only seems to deepen the mystery and enigmatic nature of this remarkable nod to the past. So I’m one of those people who use facebook as an image repository – a sort of dusty social media shelf where I can look back and browse through digital photo albums filled with virtual Polaroids (I grieve the fact I never owned a Polaroid camera). However I recognize that the often interesting stories related to these images are buried relatively quickly. This is the first entry into what I plan on making a regular feature (perhaps weakly-ish?). I will unearth what will generally be a nature or ecology-centric photo and jot down a few words about the context in which the photo was taken. If nothing else, I think this develops some nuance to my interest in cultivating a presence as a science communicator. The first photo I’m featuring is taken very near where I work on my dissertation research. The shoreline is from Washington Oaks State Park in Palm Coast, Florida – a half hour or so south of St. Augustine. 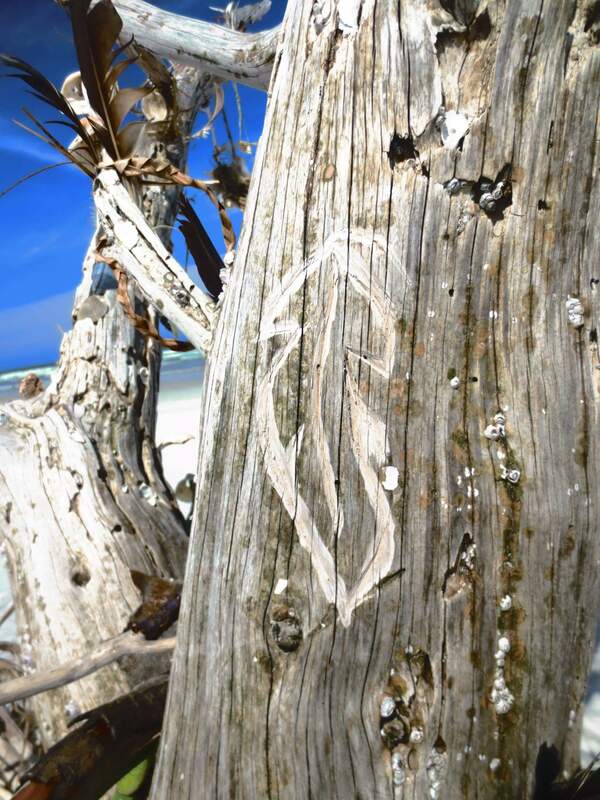 This was winter in Florida which is still punctuated by the vibrant green of algea growing on coquina rocks. Coquina is a very marine phenomenon – the sedimentary rock consists primarily of Donax variabilis shell – the tiny little Coquina clam. Shells originating from other molluscs and invertebrates may join the mix. The rock was used for many of the Spanish Colonial structures – primarily forts – in the St. Augustine area. One of the most notable and striking features of the Coquina are the circular depressions weathered through the rock. The shells that comprise the rock are largely composed of calcium, making Coquina a type of Limestone, which is relatively soft and easily shaped by the elements and other influences. A couple sources I’ve found suggest these holes are from Coquina forming around cabbage palms at one time. They certainly make for a visually arresting landscape. On our third full day in the park we pile into the sheep shearing shed complete with a lingering aromatic reminder of its relatively recent use, in order to learn more about Tawh’s (pronounced “Tawf”) ecology. 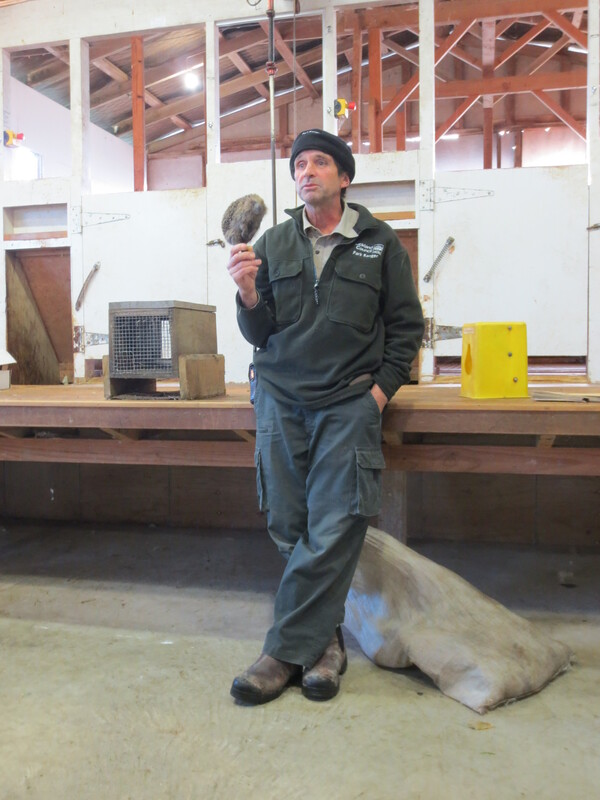 Our master of ceremonies is Maurice “Mo” Puckett, the Auckland Council’s head ranger at Tawharanui who has been part of Tawh’s legacy for 20 years. He started life at the reserve as a single man but now lives on property with his wife where they have also brought up their two kids – a 14 and 16 year old. Mo launches into an explanation of the park’s ecology while keeping a burlap sack mysteriously on hand. He reveals to us that New Zealand is literally an island nation for the birds – there are no native mammals save a specie or two of bat. He begins telling us that there are, however, plenty of mammals around that have been introduced by other means. As he tells us about each, he unceremoniously pulls out and drops frozen examples from trapping efforts at Tawh. Both the Maoris who first came to New Zealand’s shores and the Europeans who followed years later brought over certain creatures to help them meet their needs. Rabbits, one of the earlier introduced mammals, were a prime example of an animal that could provide meat, pelts, and sport for those who liked to hunt. However as rabbits tend to do, they multiplied rather quickly. In areas where farming had already depleted vegetation, the holes that rabbits dig for their burrows further de-stabilized the landscape. Paired with rainfall, the afflicted hillsides would erode away or deposit sediment into local waterways, stressing fragile aquatic ecosystems. In addition to fencing and poisoning efforts, ferrets, weasels, and stoats were released in an attempted form of biocontrol. However all three introduced their own havoc on New Zealand’s native flora and fauna, with stoats being the most insidious. Stoats are efficient hunters, “little killing machines” as Mo stressed, and have an inordinate impact on birds. Mo also relayed that stoats are originally adapted to colder climes and tend to bury their prey. But since New Zealand experiences warmer temperature at times, the stoat’s spoils sometimes rot before they ever retrieve their cache. Additionally, female stoat kits may become impregnated before they even open their eyes. The embryos they carry will go into stasis until they are able to give birth sometime later. Other pests in the country include possums (the variety originally native to Australia, not the Opossum Americans are used to) who have a greater variety of New Zealand trees to eat relative to the limited variety they enjoy back home. Their fur is soft and has great insulating properties, so is often mixed with merino wool products in New Zealand. Hedgehogs which can often rid gardens of unwanted slugs and other nuisances have themselves become overabundant and a threat to native insects, lizards, and the eggs and chicks of certain birds with ground-nesting behavior. Feral cats or even people’s pets may have impacts on wildlife. Rats may be the most damaging of all as they devastate vegetation and seed banks that support the habitat for bird species. Staff have armed Tawharanui with a whole suit of ways to combat these pests. 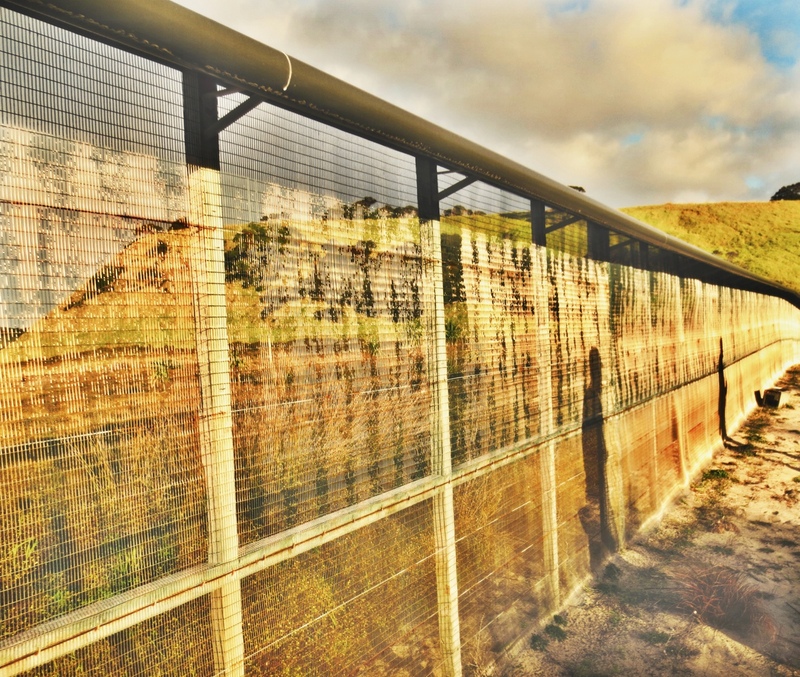 One of the most important components is the pest-proof fence lining most of the park’s boundaries. It is constructed with a mesh size small enough to keep anything unwanted, down to the smallest mouse, from getting through. All access points in the fence are designed with two-door entryways where only a single door may be open at a time. The top of the fence is sloped so animals can’t easily climb over and nearby branches are kept trimmed to further discourage stealth breaches of the perimeter. Different varieties of traps are baited and set, and rangers will check them regularly. And while the fence does not extend over the full reaches of the beach that lines the coastlines of the park, it does have an interesting feature. The ends of the fence curl inward in a spiral. Many animals have a tendency to follow the length of the fence and will find themselves corralled into the coiled terminus and into more awaiting traps. One tool Mo showed us which I found delightfully elegant and fascinating was what they referred to as “talls” (and more formally sold under the name “the black trakka”). These basically consist of baited tubes with floors lined with inked cards. 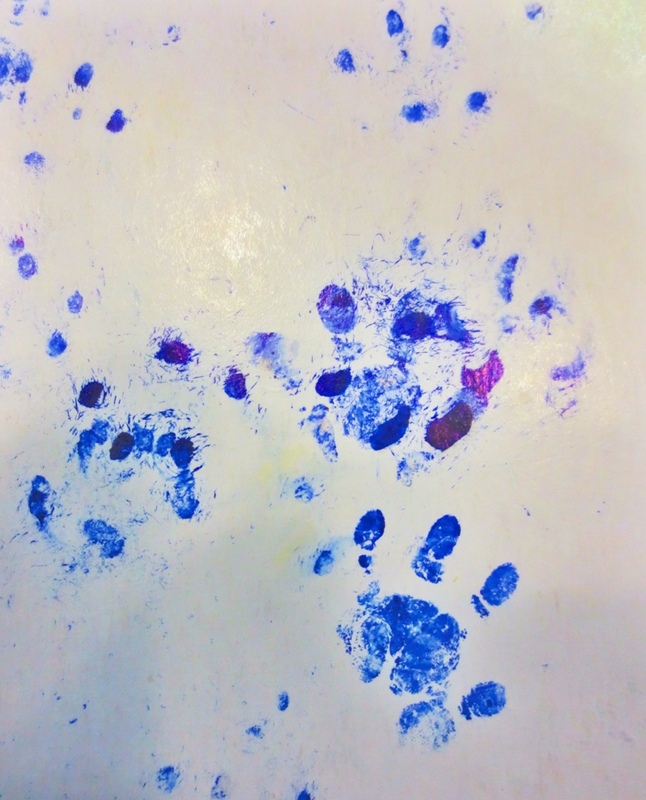 Animals wander through the tubes, inking their feet and leaving tracks on a blank portion of the cards. The cards can then be later retrieved and examined as a sort of record of what small mammals might be roaming park grounds. Tawh is certainly not only susceptible to threats of the mammal or even faunal kind. In later posts I will describe some of the additional challenges, including invasive varieties of plants, that park staff must vigilantly respond to. 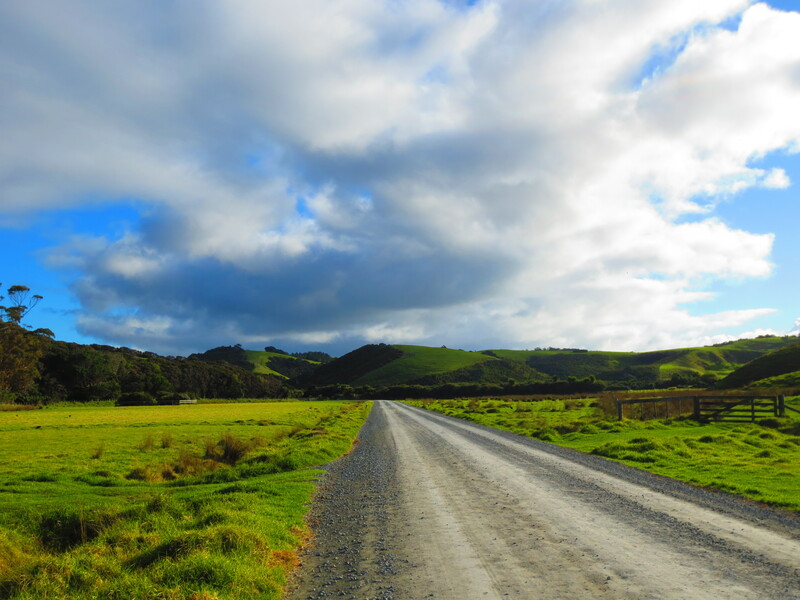 The journey alone to New Zealand is its own long winding experience. A drive to the Orlando airport eventually gives way to a 12 hour layover in Los Angeles before the 13 hour flight to Auckland – plenty of time to travel the $1 Big Blue Bus line and wander the lengths of Santa Monica. Many of the streets are crowded with polished classist boutiques and restaurants, but the same walk includes a conversation with a woman canvassing for Green Peace, the echoing baritone of a man singing Harry Belafonte songs, and a savvy group of street dancers trying to sweet-talk police officers into letting them finish their show and collect donations from the crowd. The streets suddenly give way to public parks and steep eroding drop offs with a wicked view of blue green expanses of ocean. Palisades Park is full of animated little California Ground Squirrels peaking in and out of burrows under the waxy cuticles of aloe-like plants. The Santa Monica Pier is awash with noise from amusement park rides, street artists, and the brilliant tones emanating from a violinist on the docks. He is un-assuming, looking like any white-collar college student. But his face screws up into a look of love when he plays. I find myself back at LAX, waiting to meet the students who will be joining me on this adventure. We are traveling as part of a service trip with International Student Volunteers, and I have signed on as a University Leader during the next two weeks. The long flight on Air New Zealand is managed by smartly-dressed flight attendants armed with a no-nonsense manner, punctuated by the glow of in-flight movies and the crying baby one row ahead as we all tuck in to sleep fitfully. Once on the ground, we all pile into a white economy van with Steph, our project leader. Steph is a local Auckland-er who has worked in the region as a park ranger among other things, and seems amused to hear about our initial impressions of New Zealand. We also find that driving on the left side of the street will take almost the entire trip to not feel strange about. We leave the cityscape, and start to see elevation, rolling hills and vast stretches of emerald, dots of sheep and cattle on hillsides. 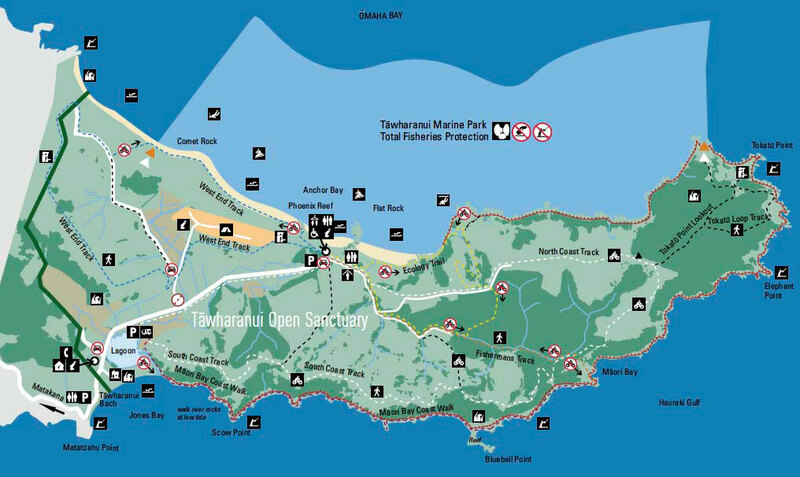 As we get closer to Tawharanui, the regional park where we spend the next two weeks, the views become more affecting, with expanses of high cliffs cut out of the surrounding ocean. 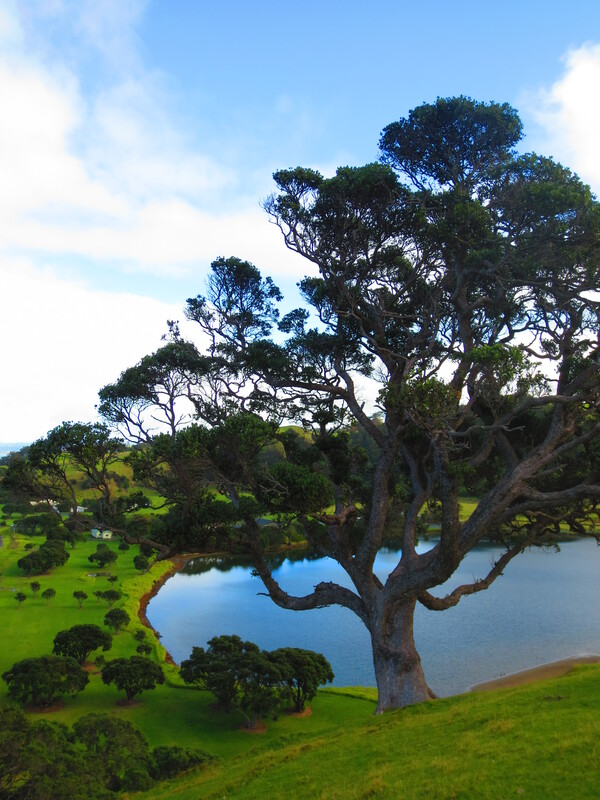 Tawharanui’s name is not pronounced quite like it looks, and it is with slight tones of embarrassment that I tried to deliver the moniker while telling friends, family, and even customs where it was I’d actually be going. As our project leader Steph points out, the “wh” is more correctly pronounced as an “f”. So the name can be more accurately pronounced as Taw-fra-nui (Steph indicates that Taw-fara-nui might be the slightly more Maori way of saying it, but most people we know have simply shortened the whole thing to “Tawf”). 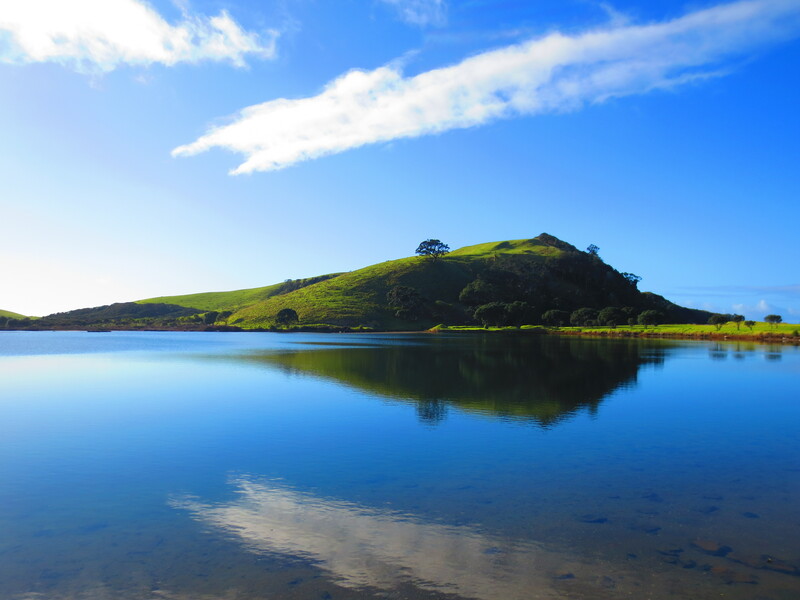 The Maori meaning of Tawharanui’s name alludes to plenty and abundance of resources. The variety of habitat in the park is truly amazing. Jones Bay incorporates a pebbly beach which yields discoveries of all kinds of marine treasures – sponges, chitins, cushion stars. Anchor Bay on the opposite side of the peninsula is home to a marine reserve with striking flats of rock, little caves that can be explored, and deep channels of tide pools all accessible at low water. A tidal lagoon near the entrance yields a bird blind and a walkway connected to steep wind-blown hills with panoramic views of the area. There are thick patches of coastal forests, and impressive stretches of sand dunes. In addition to supporting conservation and recreation, the park is also uniquely balancing farming and agriculture within its boundaries so sheep and cattle are never in short supply.